An apparent u-turn by Causeway Coast and Glens Council officials over plans to fly the Red Ensign on council buildings, including in Limavady on Thursday, to mark Merchant Navy day is “another example of how Council officials are caught in the middle of a political pantomime”, a local Sinn Fein councillor has said. Causeway Independent councillor Padraig McShane had brought a legal challenge against the decision, describing the Red Ensign of the Merchant Navy as an “imperialist” flag. 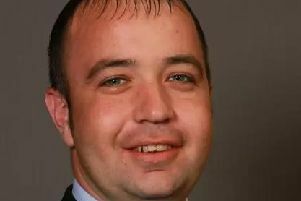 Sinn Fein’s Sean McGlinchey said Council “is caught in the middle”. The ‘Journal’ has contacted Causeway Council and is awaiting comment on the matter.